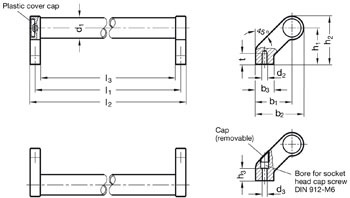 Handle legs are highly stable in relation to their small dimensions. Tube and legs are secured together with self-tapping screws. Screw heads are covered with plastic cover caps to provide a clean and finished look. Typical use is on double winged swinging doors and sliding doors on machines. 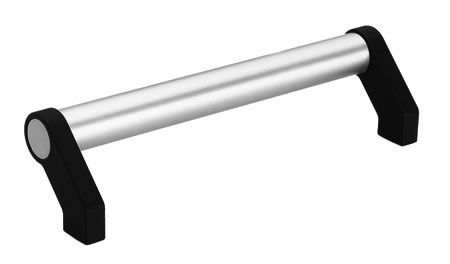 Handles with special tube lengths available upon request.